Trying to figure out how much fabric you need to make your bias tape? Or maybe you need a binding calculator to find how much bias your fabric yields? This simple bias calculator is super helpful, coming with the detailed formula and a handy dandy continuous bias binding chart to make your life even more easy! 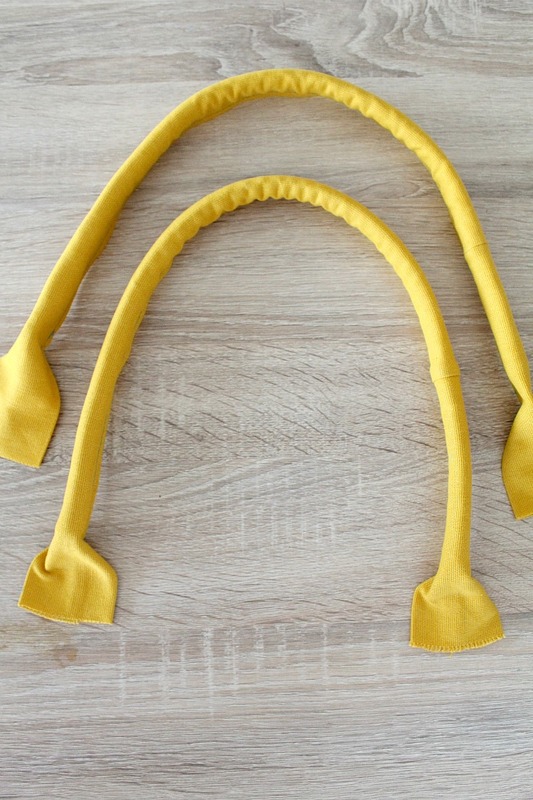 Now that you know how to make your own bias tape without a bias maker and how to create miles of continuous bias binding it’s time to learn how to calculate how much fabric you need to make a certain amount of bias tape and also how much bias binding your fabric will make. This bias calculator is super easy to use and very handy, making your sewing projects a lot faster and easier. 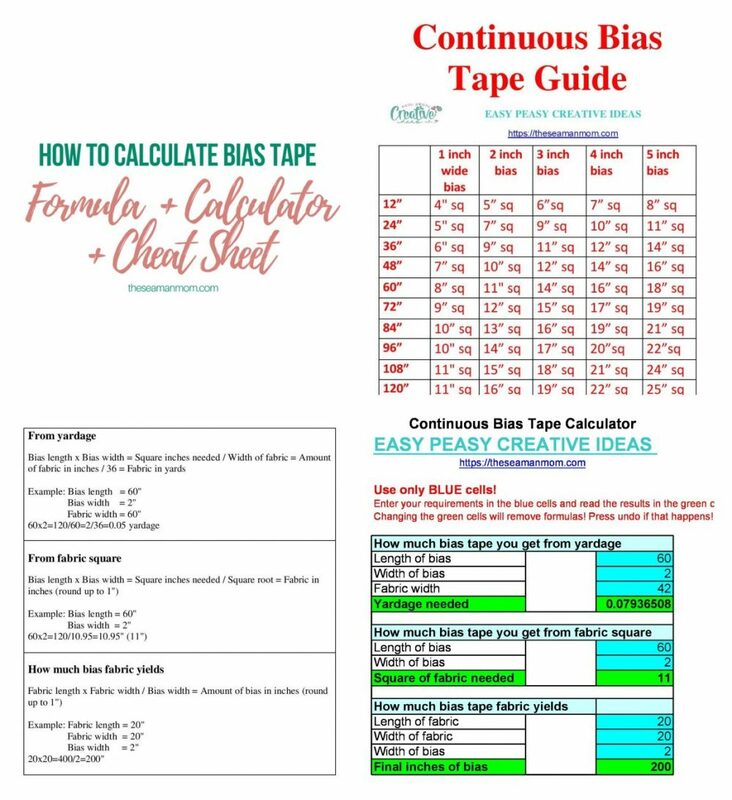 This bias calculator comes with the actual formula and a very easy to use and helpful continuous bias binding chart to figure out your bias needs in a blink of an eye! 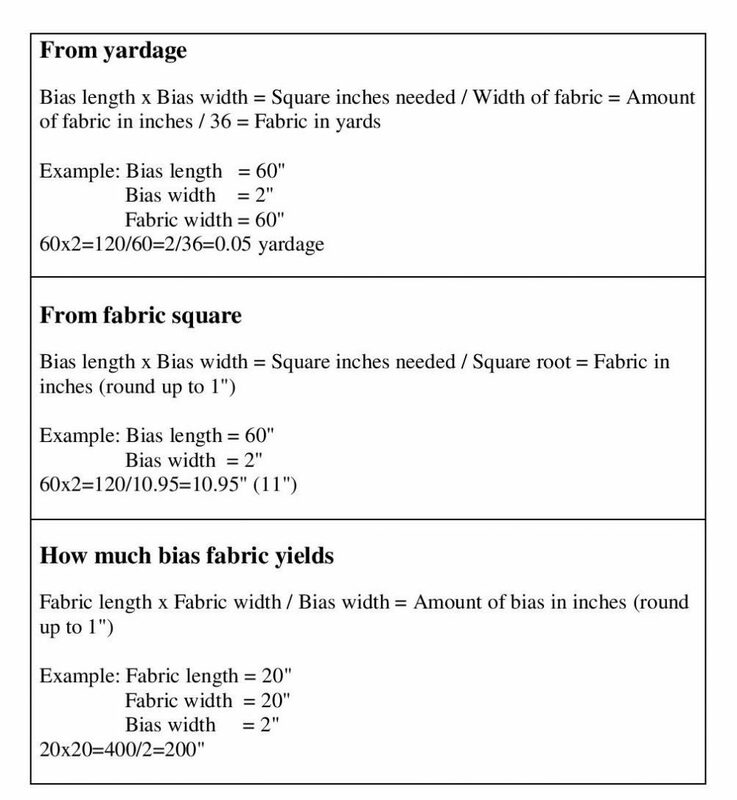 The formula in my bias binding calculator will help you figure out how much fabric you will get from yardage from fabric square and how much bias you get from the fabric you own. 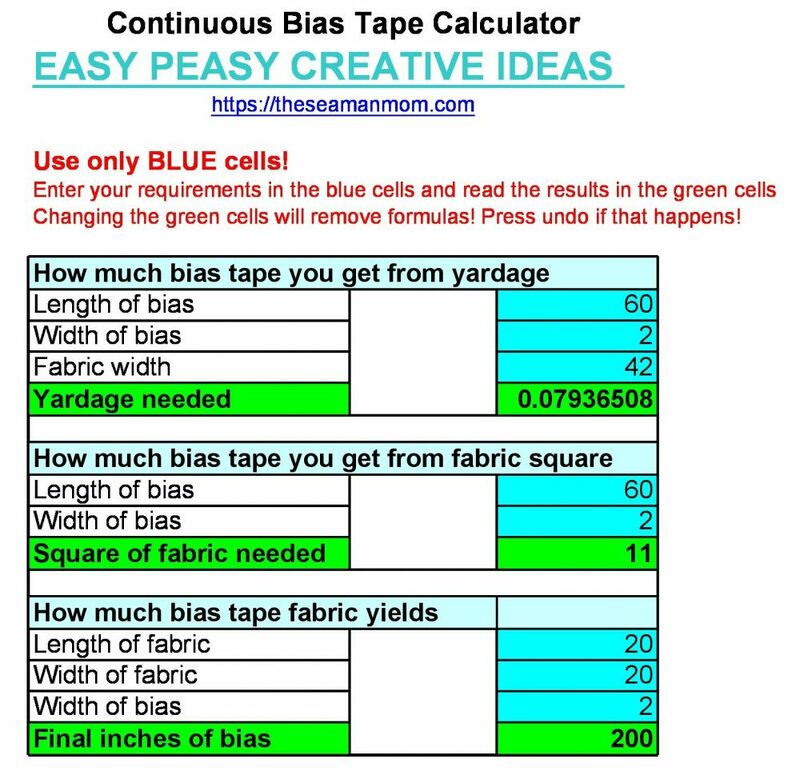 So with this cool bias tape calculator you won’t be left approximating but you’ll be able to determine exactly how much bias is needed for your quilt or sewing project and also how much fabric is needed to create that continuous bias strip needed to finish your project. This way you will not end up buying too much or too little fabric when going to the fabric store. 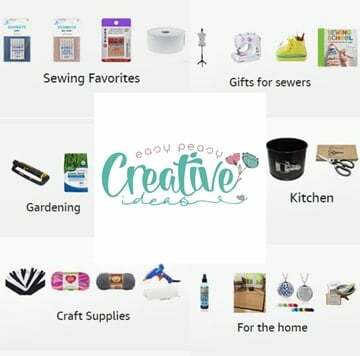 I totally understand how this math thing seems like such a bugger but honestly, sewing and quilting require a great deal of math so we better get used to the idea, learn this bias calculator by heart and simply move over! 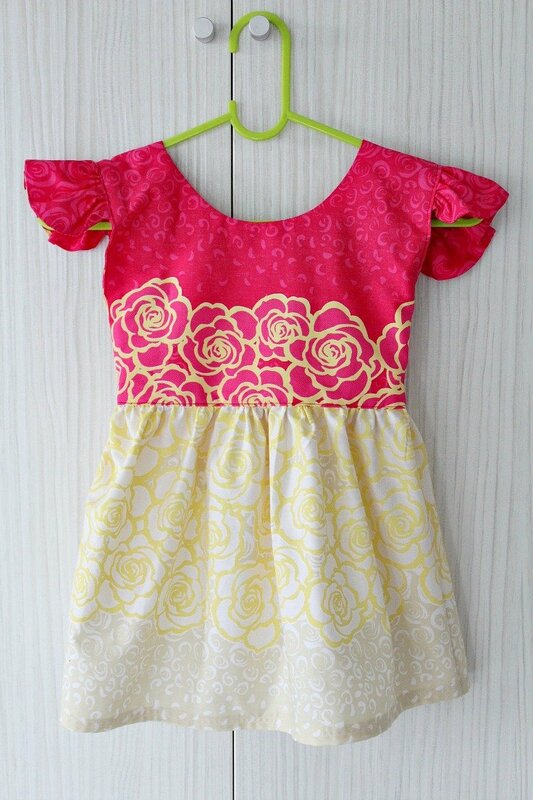 Sewing will be so much more enjoyable once you get pass this point. But no worries! If my continuous bias binding calculator is just not your cup of tea, you can always refer to my bias binding cheat sheet. Tu sum it all up, in this tutorial you will find a bias calculator formula, bias calculator excel file (where you can insert your own measurements and the file will automatically calculate the bias for you) and a bias tape chart for the most common bias. Purchase the calculator formulas and the cheat sheet here or get them free when you join my sewing newsletter! With these formulas, calculate the amount of fabric needed, through a few different ways. Purchase the PDF formulas here or get them free when you join my sewing newsletter! In order to be able to use the file, download it to your computer first. Please note the excel file is super easy to use but make sure you enter your figures in the blue boxes only and read the results in the green boxes. I’ve protected all cells except for the blue cells to make it safer to use the file, but just in case the protection is not working, please bare in mind to only use the blue cells. If an accident happen and you end up inserting your measurements in the green boxes simply press “Undo”. Also let me know if you’re having troubles accessing the file through the link below. This is the first time I’m sharing files via this method! Purchase the calculator here or get it free when you join my sewing newsletter! Don’t you like using the excel calculator? Or maybe you need something you can slip in your bag when you go shopping for fabric? Then I’ve got a guide for you. 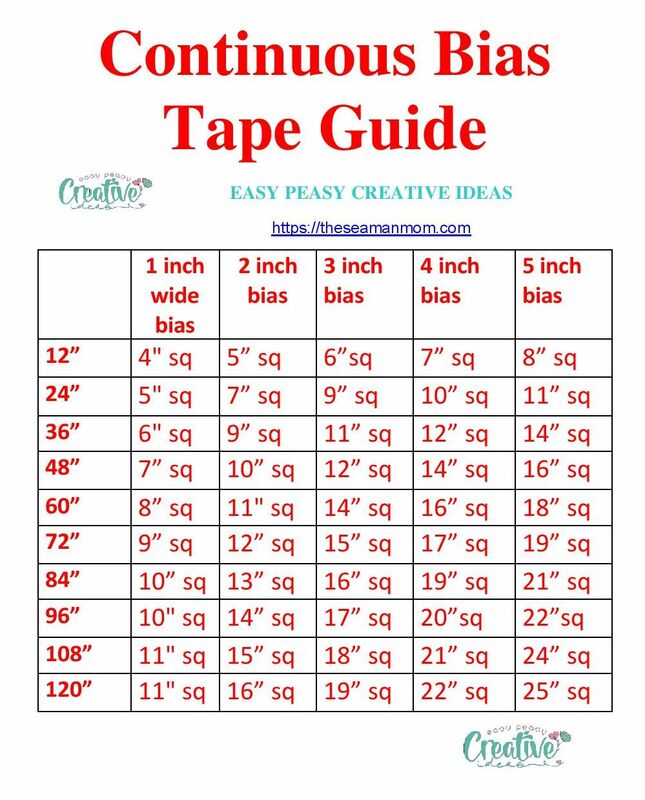 This cheat sheet allows you to calculate any amount of tape from 1 to 5 inches wide and from 12 to 120 inches long. 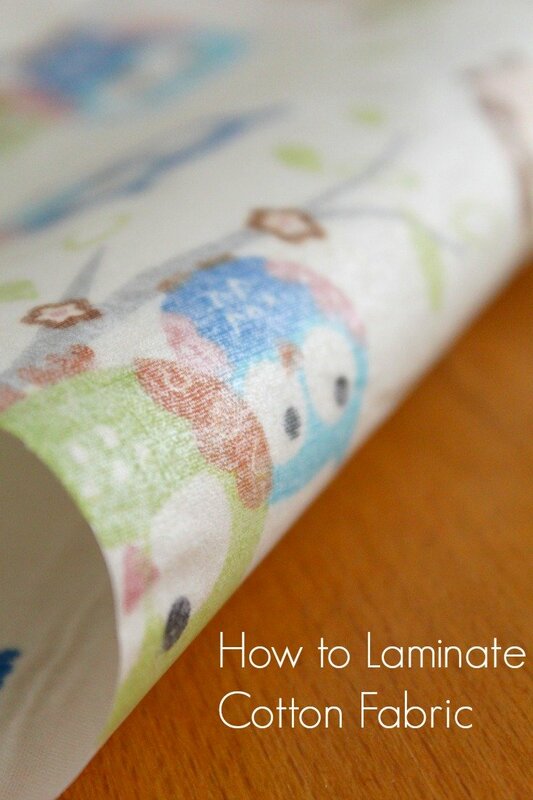 Pin and print this table next to your sewing machine! 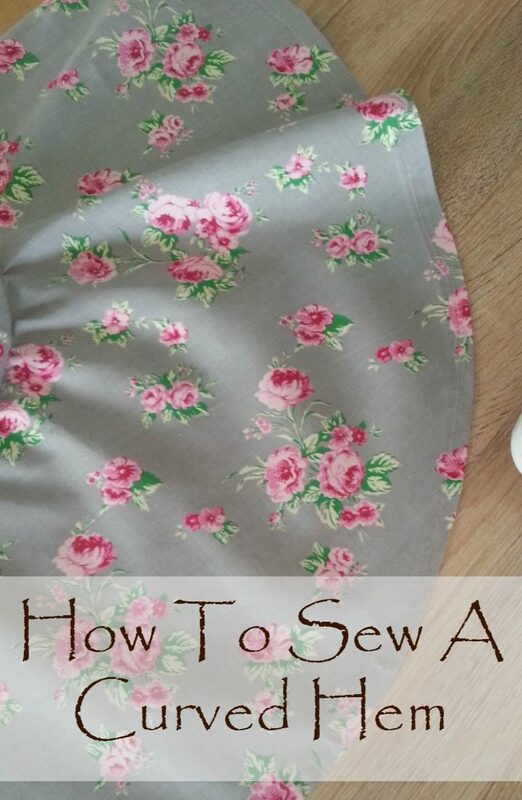 Purchase the cheat sheet here or get it free when you join my sewing newsletter! I hope you enjoyed my bias calculator tutorial. If you get to use either one of the formulas, the excel file or the cheat sheet and find them useful I’d love to know so please leave a comment below.